Blackjack is one of the most popular casino games in history. It is still the most popular card game in the Las Vegas casinos. When you play blackjack online, you find that it is a mix of skill and luck that makes it interesting and fun to play even when playing for low stakes. Next to Poker, Blackjack is probably the most challenging card game of all times, the strategic potential of which has served as an inspiration for a number of movies, card counting manuals and generic spinoff variants offered in both online and brick and mortar casinos. It is difficult to say when the game of Blackjack first saw the light of day, although many agree that the early version of the game first appeared in French casinos in 18th century, under the name of Vingt-et-Un. It is often said that Blackjack is the easiest game to learn but the most difficult one to master. In order to be a successful Blackjack player, learning the basic rules will not be enough and many players resort to various card counting techniques and combine them with the progressive betting strategies. The rules of Blackjack are fairly simple – players try to get as close as possible to the total of 21, without going overboard and busting. Your main opponent is the dealer who plays for the house and deals two sets of cards – two for the players and two for the themselves. Depending on the Blackjack variant, one of the dealer’s cards is facing up and the players can use the insight to place the infamous Insurance bet, a side option that a casino offers as a means of protection against the dealer’s potential Blackjack hand. When the hands are dealt, the players proceed by asking an extra card (Hit), splitting the pairs, doubling down (placing another bet in an exchange for a single card – players who decide to double down are only entitled to one more card) or stand with the hand that they already have. The dealer will then reveal their cards and who ever has the total closest to 21 will win. The equal value hands between the dealer and the player will result in a push or tie. Even if you have never played Blackjack before, you’ve probably heard of card counting, a technique employed by more advanced players. 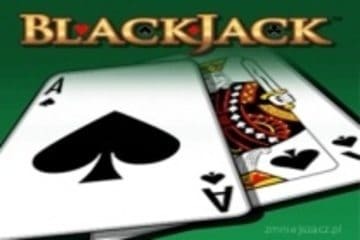 Your level of Blackjack expertise will of course determine which Blackjack strategy you will use, but one thing is for sure – if you are not familiar with the basic strategy, you should stay clear from the Blackjack tables or settle for only low limit tables until gaining more knowledge and experience. Once you decide to up your game, Hi Low card counting method will be your stepping stone to the more advanced techniques, such as Omega 2 and Shuffle Tracking. These systems all rests on the principle of tracking the cards by assigning them with positive and negative values, and adding theses values for a more accurate estimate of the remaining cards inside the shoe. With Blackjack you will have plenty of options to choose from, but if you want to play in style and can afford a more extravagant holiday, treat yourself with a luxury trip to Singapore and be sure to visit Marina Bay Sands casino. If you prefer the Old Continent, The Kurhaus of Baden-Baden Casino in Germany is a go-to place for any Blackjack player – just make sure you pack your formal attire. If you happen to find yourself in the United Stated, head straight to Las Vegas and find your way to Caesars Palace, Bellagio or Wynn, the most popular gambling spots on the West Coast. As well as free blackjack, we also have plenty of slot machines. We have divided our free slots pages into several sections - the first we call online slot machines, then we also have one called casino slots machines and a third called video slots. In addition, we have a 3 reel slots section too, for fans of classic old-fashioned casino games.